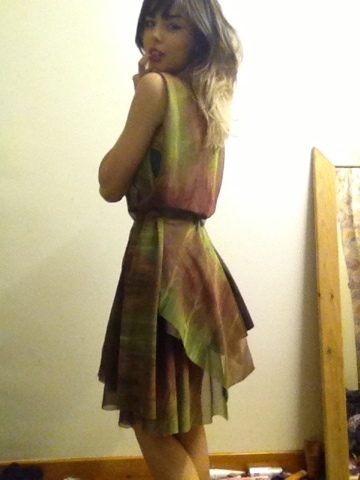 Here's a dress I made over the past couple of days. I had hoped to pick up a collection of chains to wear with it, but i have yet to find any. 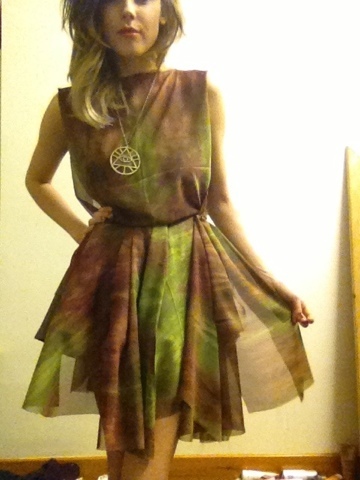 The material has a dip dyed effect which makes it very bohemian, I love a bit of boho. I wanted the skirt to be quite choppy and quirky. Underneath theres a bronze leather underskirt to create lift, and also privacy as the material is very see through! And to finish i had to wear my illuminati necklace..
Wow, you made that? It is gorgeous! I love that fabric! You can kill a man with your eyes only. Bueautiful. whatever dress you wear or you would honey fits you perfect! i don't know anything about fashion but i like your dress and most of it i like you!